Hello author. Thank you so much for sending me this book to read. I’m sorry… what? You’re sorry about that ending???!! Sorry ABOUT THAT ENDING!!!! GASP!!! Well I never! But all is well. 🙂 You’re forgiven ’cause book #2 is already live and I can dive right in. YAY MEEEEE!!!!!! *phew* ‘Cause that was a crazy intense, extremely seductive, addictive read that I’m loving. OH my SAYER. SAYER. He is my DREAM man… er… minus the *ahem* working for the Russian Mob bit. *eeeeeeep!!! * Yeah, that part sounds more like a nightmare, but him? As a person? I. AM. IN. LOVE. 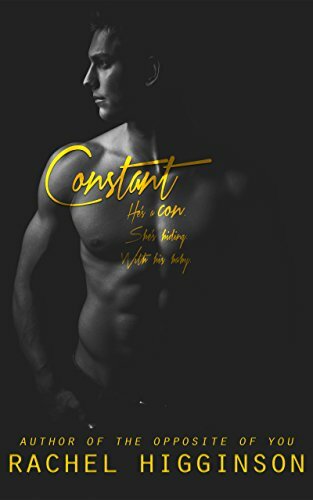 As always, this author rocked my world as she lead me on a journey through one of hers, and you can bet I’m continuing the saga as soon as I finish this review. Once a member of the Bratva, always a member. Until you’re dead (by whatever means necessary). It’s a past (teen years) and present (as adults) look into the lives of a group of kids that get dragged into the Russian mafia through means not of their own volition (for the most part). And trust me, the past-and-present look gives you the full perspective, allows the reader to truly dig-in, and is not at all confusing. P.S. This is NOT a YA book. We were a family. Not a conventional one or even one made by blood, but we looked out for each other, we supported each other and we protected each other. I knew from experience that blood could be bought and loyalty wasn’t an inherited trait. Our heroine, Caroline has been dealing with her father’s illegal activities since she was a young child. She loves him (he’s her only parent) but she’s lived her life in fear, and in fear FOR him, as he sinks their lives deeper into mob life. I could recognize all the usual players. They were guys my dad and his bosses trusted. Most of them were grown-ups that I was supposed to call uncle. As if making them part of our already dysfunctional family somehow made them better humans. They were low-level goons at best—murderers, criminals and drug dealers at worst. But I went along with the lie. Uncle Brick. Uncle Vinny. Uncle Fat Jack. My life was a cautionary tale. And when he starts bringing her along as the “decoy” on some of their jobs, she learns the ins-and-outs of being the ultimate thief. A skilled liar. A full-on criminal. Now she’s officially one of them, whether she wanted to be or not. And during her childhood and teen years, she becomes best friends with the Bratva princess “Frankie” (her uncles are the leaders of this crew) and they have adopted her in, upon the death of her mother (their sister). She hates the lifestyle, hates her uncles and wishes so much for a normal childhood, but she is blood. She is theirs, forever. She will know no other life. She hated her uncles. She hated that her mom had died and left her to their care. She hated that she didn’t have a dad because of them. She hated what they stood for and the lives they took in the name of power and expansion and just plain arrogance. I didn’t blame her. I couldn’t understand this life. It didn’t matter that I had been raised in this world or that it was all I knew. It was obvious to anyone with a soul that what our families did was wrong. I knew that killing people for greed and influence was not right. And then there’s Sayer. The homeless teen that is just looking for a home. A place to belong. His life has gone from bad to worse, and though his life is on the line at every turn, Caro saves him with a few pointers. This kid was desperate. And that made him something more than pathetic or worrisome. It made him feral. Predatory. He wasn’t here because he wanted to be, but because he had to do something to survive. And for some stupid reason, that made me want to help him. She knows they will simply dispose of him if he becomes no longer useful. He proves himself and now he belongs to them, too. But Sayer’s heart belongs to Caro. These kids do what they need to do to stay alive, but as they reach adulthood, all hell breaks loose for SO many exciting reasons. We did the right thing. It’s okay to be a good person. It’s okay to fight to stay a good person. Things don’t always go according to the Bratva plan. Oh sure, the mob will “right” those that have “wronged” them, but they have to catch them first. Which is why I’m still on the edge of my seat with this one. Frankie (the Bratva Princess) and Caroline have been in hiding and have just been “found” after five years of looking over their shoulders and relative peace. Sayer Wesley had gone to prison as the person I trusted most in this world and come out a stranger. He wore his five years in prison like new skin, flexing the hard-fought years with bared teeth and shredded muscle. There was no softness left in him, no gentle touch or understanding ear. Only anger. Only hatred. He was at once utterly beautiful and every nightmare I had ever had come to life. Who to trust? The brothers want their blood back. And they desperately want to spill the blood of their betrayers. 4 stars!!! Actually more like 4.5 stars, but you know me and duets. I’m waiting until I read #2 to see where my balance is. 😉 But this one is SO GOOOOOD!!! If you love a believable, relatable (in a way 😉 ) intense love story wrapped up in lies, deceit and danger (with a “best friends and support crew” that help ease the trauma) this is YOURS!!!!! And it’s a duet which is now complete so no need to wait. I love a good mafia book too. This is one of ’em but I didn’t doubt it, considering the author. She’s one of my favorites no matter what she writes (comedy and tearjerkers are what I’m used to, from her). I’m very excited about this. One click it. 🙂 DO IT. Was there any doubt I would? Maryse rec and Kindle Unlimited = oh yeh I one-clicked!! !